Well, it’s that time of year. Summer is almost over, and the kiddos are getting ready to go back to school. But you could — and should, in our humble opinion — squeeze in one last late-summer-vacation hurrah before school starts. 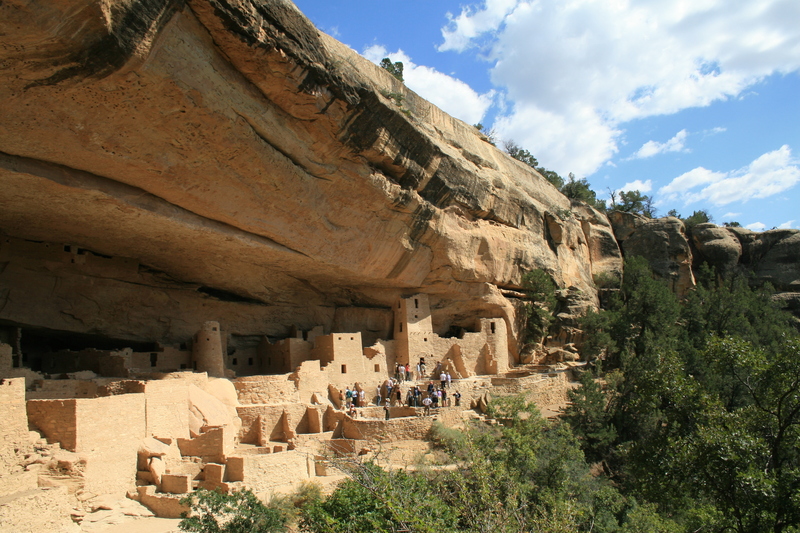 Mesa Verde National Park is the perfect place for a quick getaway for all you Coloradans, Arizonans, New Mexicans, Utahans (er, Utahns?) — heck, anyone who is looking for an easy road trip to an amazing place. Cliff Palace in Mesa Verde. Can you imagine the commute home after work? Mesa Verde is open year-round, but the National Park Service starts scaling back its hours as well as the frequency of tours, hikes and programs in early September, so now is the perfect time to go. Mesa Verde — which is Spanish for “green table” — is home to 5,000 known archeological sites of the Ancestral Pueblo people who lived there for more than 700 years between 600 A.D. and 1300 A.D. The park preserves and protects about 600 cliff dwellings, several of which are open to the public for tours. Although Mesa Verde offers stunning hikes, trails and bird-watching opportunities, the cliff dwellings are the stars of the park. The ruins, which are amazingly tucked away in the sides of canyon walls, are eerie in a way. Haunted — or more accurately, haunting — as though you can still feel the people who lived there over a thousand years ago. Guided tours of Cliff Palace, Balcony House, Spruce Tree House and Long House are available, or take a self-guided tour of Spruce Tree House and Step House. Although most of the cliff dwellings are open to the public through the fall — and some until spring — both Long House and Step House close after Labor Day Weekend. The entrance to Mesa Verde is 35 miles west of Durango, which is the largest city near the park. Most people visiting Mesa Verde stay in Durango, so check out the Durango Quality Inn and book your room today for your last-minute, late-summer, pre-school-year getaway.